Driving force: The Central Bank has not increased bond supply and there is adequate liquidity in the banking system. Mumbai: Bonds gained for a second day on optimism the Reserve Bank of India (RBI) won’t increase debt sales aimed at draining spare cash from banks this week. “This week should be better for bonds," said K. Ramkumar, who manages the equivalent of $1.2 billion (Rs4,860 crore) in debt at Sundaram BNP Paribas Asset Management Co. Ltd in Mumbai. “The central bank hasn’t increased bond supply and there is adequate liquidity in the banking system. There is no negative for now." The yield on the benchmark 7.49% note due April 2017 was little changed at 7.98% in Mumbai, according to data compiled by Bloomberg. The note yield fell to 7.95% earlier. The price rose 0.01, or 1 paisa per Rs100 face value, to 96.72. Bond traders expected the central bank to sell more stabilization securities after it raised the annual limit for such sales last week. 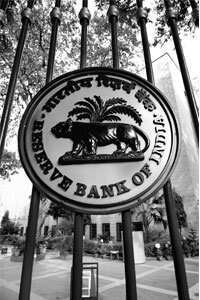 RBI increased the amount of debt it may sell in the fiscal year that began on 1 April by 36% to Rs1.5 trillion. An increase in lending by banks to the monetary authority suggests there’s a greater amount of surplus cash in the banking system. Banks lent Rs25,325 crore to RBI in its reverse repurchase auction on Wednesday, compared with Rs19,625 crore on 10 August, according to RBI data. Bonds also gained on speculation slower inflation and loan growth will give the central bank more room to refrain from raising interest rates. RBI has raised borrowing costs nine times since October 2004 to curb inflation and credit growth stoked by quicker economic growth. The central bank increased the overnight lending rate to a five-year high of 7.75% on 30 March, before leaving rates unchanged at its quarterly meetings in April and July as inflation and credit growth slowed. “This fiscal year, bank credit has recorded negative growth, inflation has eased and recent economic data highlight a moderate slowdown," Ashish Agrawal, a fixed-income strategist at Merrill Lynch & Co. Inc. in Hong Kong, said in a note sent to clients on Wednesday. “Given this backdrop, RBI is unlikely to be aggressive." Weekly gains in wholesale prices averaged 4.4% in June and July, compared with 5.5% in May and 6.2% in April, according to the commerce and industry ministry. RBI wants to keep the rate below 5% in the current fiscal year, which ends on 31 March, 2008. Bank loans fell 0.6% in the current fiscal year, after growing 27.6% in the 12 months ended 31 March. Loans increased in each of the past 21 fiscal years, according to data compiled by Bloomberg. A government report on 10 August showed industrial output rose 9.8% in June from a year earlier—the slowest pace in eight months, following a revised 10.9% gain in May. Analysts expected an 11% increase.